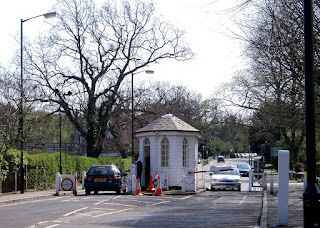 A visitor to London, exploring the Borough of Southwark, and having visited Dulwich Village, can walk south along College Road, crossing the South Circular Road, and passing the present buildings of Dulwich School, designed by Sir Charles Barry (who, with Augustus Pugin, also designed the Palace of Westminster), and built in 1840, when the needs of the school had long-since outgrown the buildings endowed to it by Edward Alleyn. Dulwich College. Photo: Noel Foster (licensed under CCA). A little further up the hill, a toll-booth, dating back to 1789, reminds us that we are, in fact, on private land. 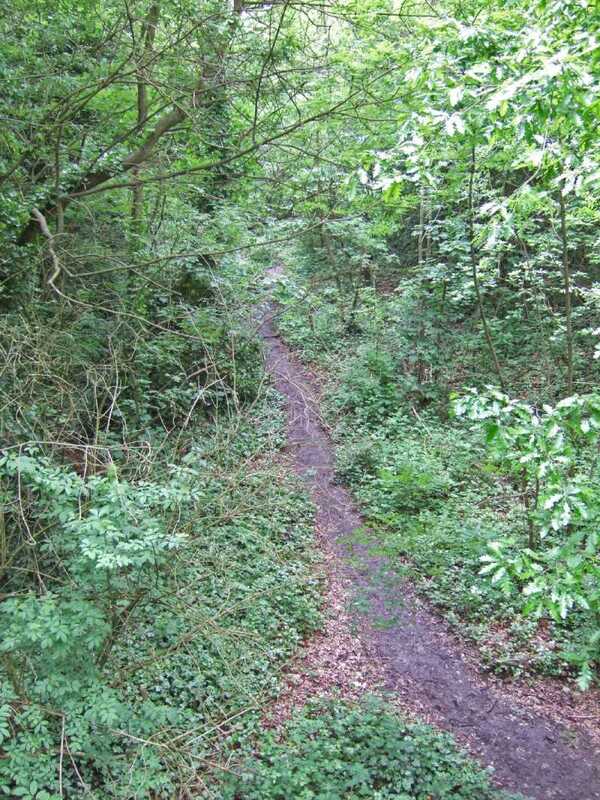 Beyond this is a path that leads into surprisingly dense woodland. 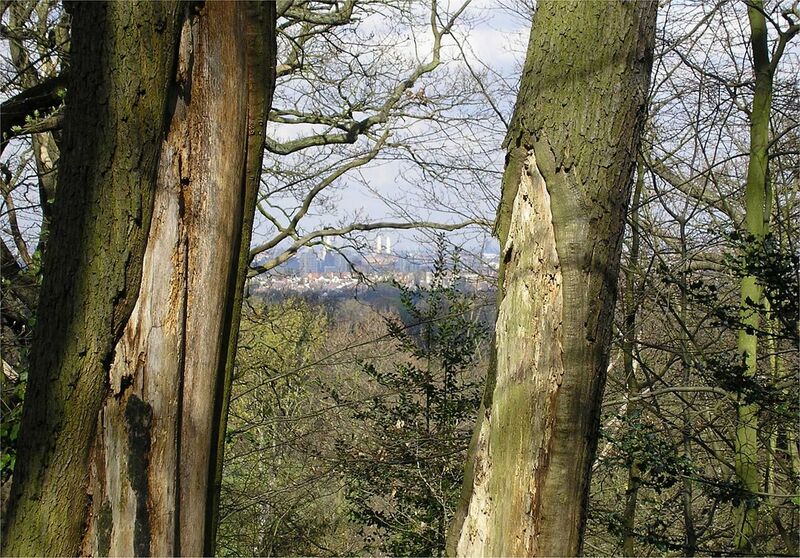 Dulwich Wood and Sydenham Hill Wood are, in a sense, remnants of the "Great North Wood," which once extended over much of what is now south London. This wood (which also gives its name to the suburb of Norwood) was granted to the monks of Bermondsey Abbey by Henry I in 1127. Five centuries later, parts of it were owned by Alleyn. 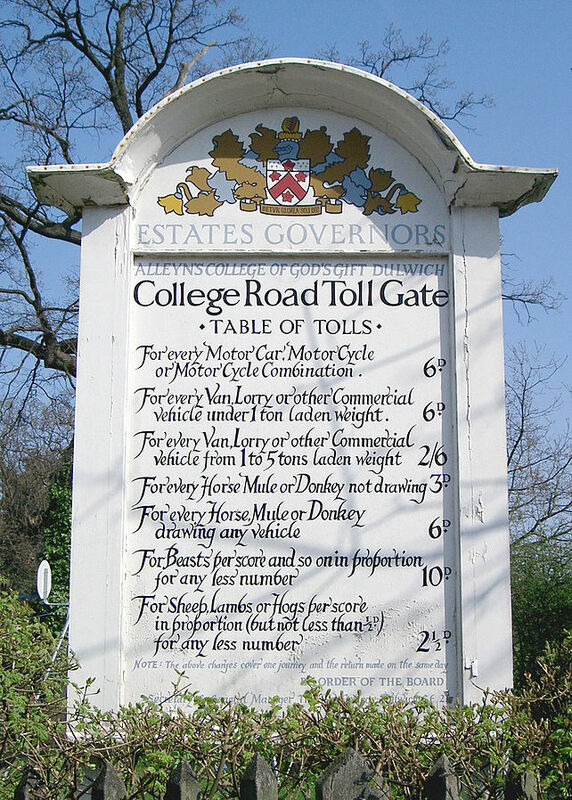 The College Road Tollgate. Photo: Spsmiler (image is in the Public Domain). The Table of Tolls. Photo: Spsmiler (image is in the Public Domain). The view east from Dulwich Wood towards Battersea Power Station. Photo: Robkam (image is in the Public Domain). Natural as it appears, it is not true "wild-wood," almost none of which exists anywhere in the British Isles. Woodland has been actively managed across these islands since the Neolithic period, five to six thousand years ago: and the monks would have managed it in much the same way as Alleyn managed it; by dividing it up into "coppices," leased out to one or more tenants, often members of the same family, since coppices were harvested in rotation. 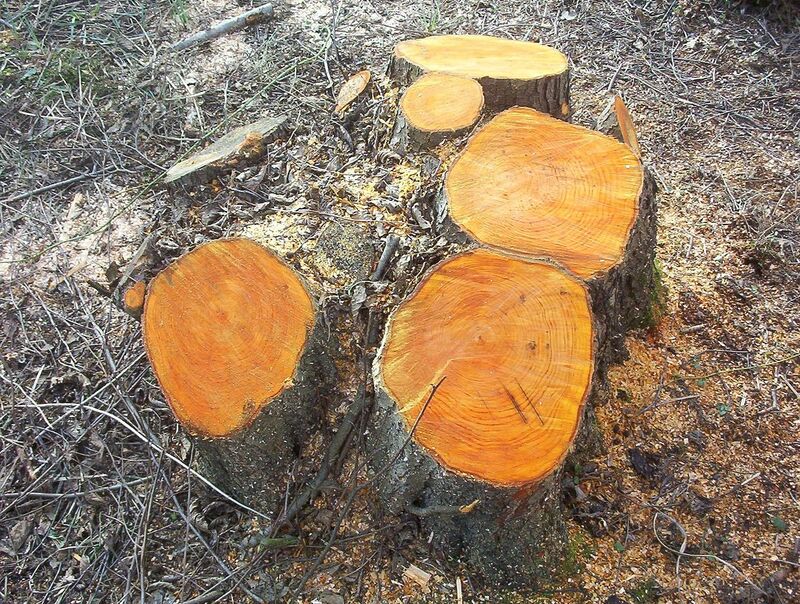 Coppicing involves trees being regularly cut down to near ground level, and allowed to grow up again from new shoots. Birch can be coppiced for faggots on a three to four year cycle; oak for poles or firewood on a fifty year cycle. Different species, and various lengths of cycle, produced wood for different purposes: cart-making; wattle fencing; thatching spars; charcoal for industrial burning. Recently coppiced alder. Photo: Cat James, Naturenet (licensed under GNU). The same coppice after one year's growth (the predominant species in the Great North Wood is likely to have been oak, which follows a longer cycle). Photo: Cat James, Naturenet (licensed under GNU). The coppicing process. Image: Javier Martin (licensed under GNU). 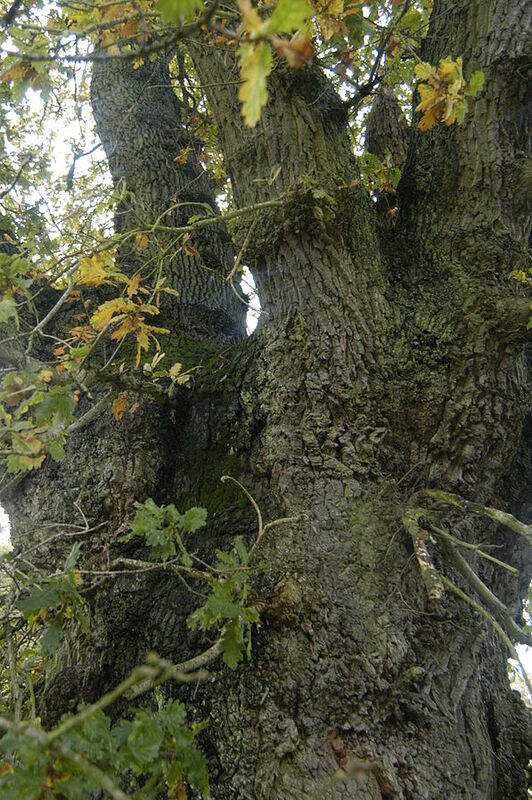 Some trees would have been allowed to grow for longer, but would then be pollarded (the upper branches cut off, and allowed to regrow), both to provide the larger timbers needed for the construction and ship-building industries; and, in the case of oak, to provide acorns, on which the tenants would have grazed their pigs. 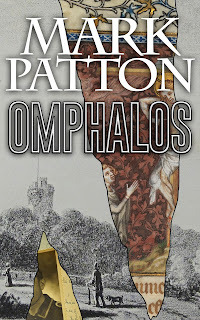 Oak pollard. Photo: Rodolph (licensed under GNU). This mix of activities: coppicing; pollarding; and the grazing of pigs; ensured that plenty of light reached the woodland floor, creating an environment in which bluebells, anemones, and primroses could thrive. 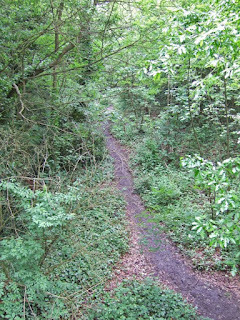 In Sydenham Hill and Dulwich Woods today, these native species jostle alongside introduced survivors from Victorian Gardens, such as rhododendrons and buddleia; and, whilst the foxes and badgers may be descended from those that roamed these hills in prehistoric times, the native red squirrels have long since been displaced by their American grey cousins. 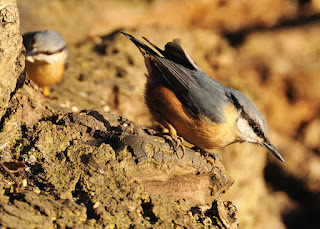 The woodland remains a sanctuary, however, for species that we rarely see in the more built up areas of the metropolis. 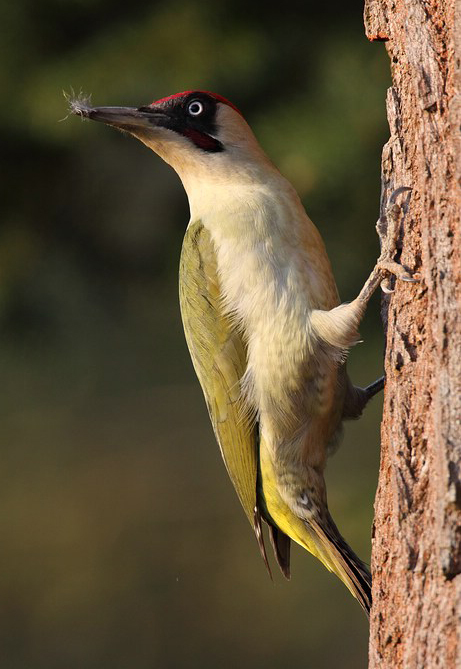 The Green Woodpecker. 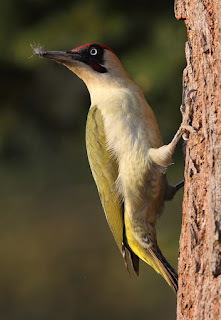 Photo: Hans-Jorg Hellwig (licensed under CCA). 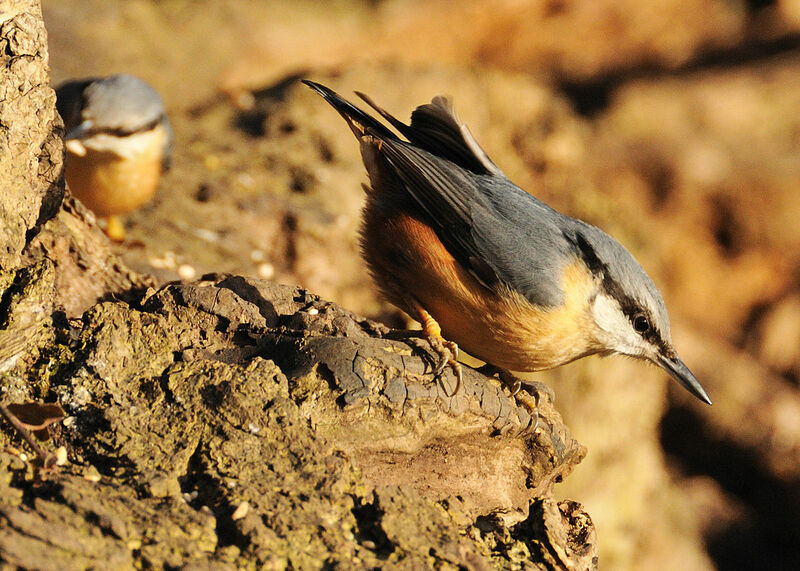 The Nuthatch. Photo: Peter Mulligan (licensed under CCA). In the later Seventeenth Century, particularly after London's Great Fire, with a reduced demand for timber, the active management of woodland declined. Gypsies colonised the woods, and told the fortunes of Londoners who rode out to meet them, including, in 1688, the wife and daughters of Samuel Pepys. 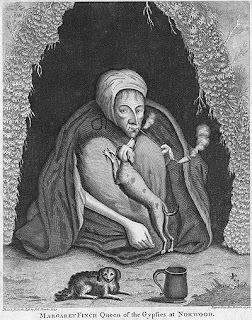 Margaret Finch, the "Queen of the Norwood Gypsies," who died in 1740, at the age of 108 (image is in the Public Domain). 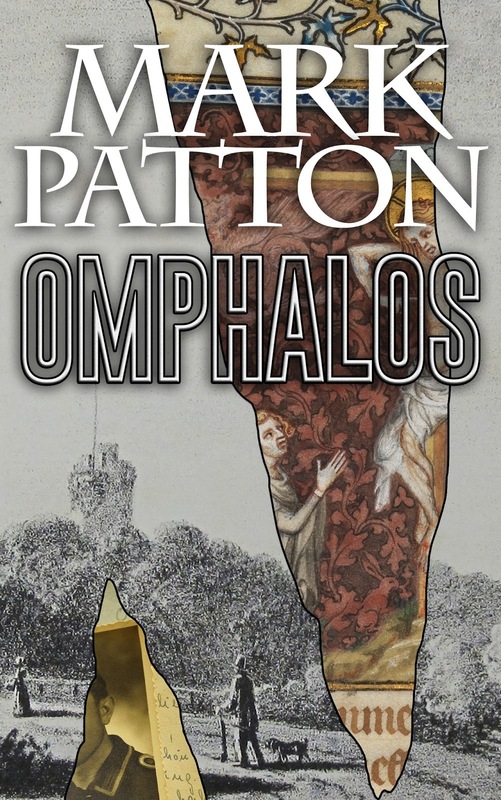 It may have been her mother or aunt who told the fortunes of Pepys's family. Her daughter, "Old Bridget," is buried in the Dulwich Village Cemetery. 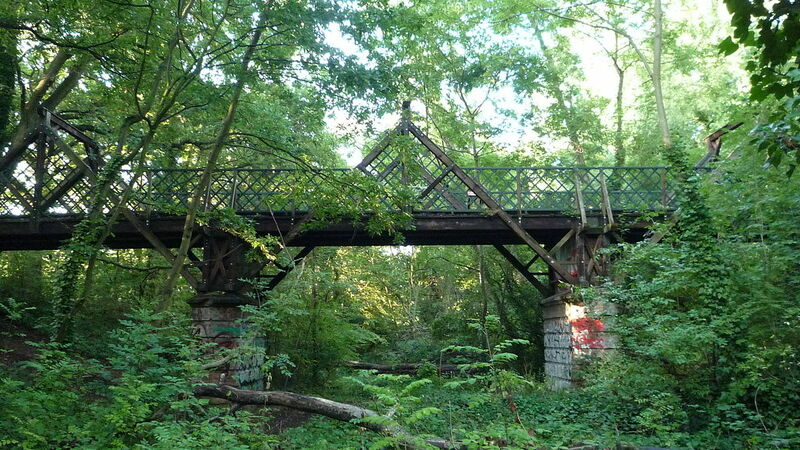 The coming of the railways, in the mid-Nineteenth Century, dissected many of the remaining woodlands of Greater London, but, where these railways have subsequently been decommissioned, as is the case here, nature, in both its native and invasive guises, has been quick to reassert itself. 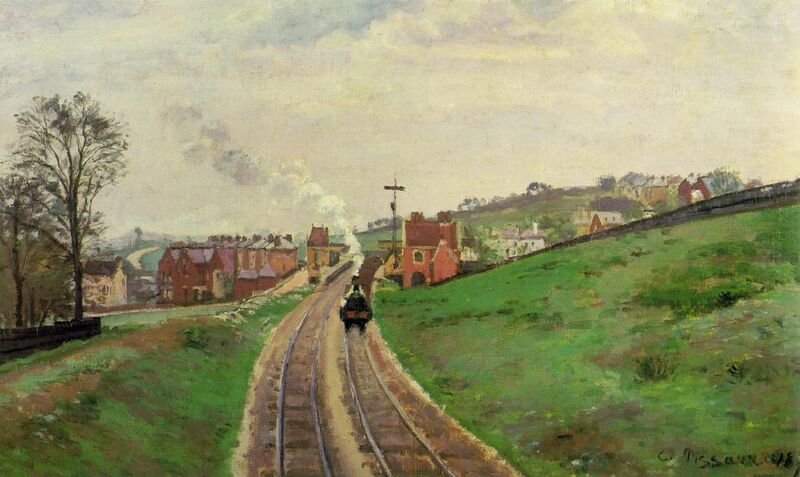 A train leaving Lordship Lane Station, by Camille Pissarro, 1871, Courthauld Institute of Art (image is in the Public Domain). The line of the railway track today (closed in 1954). Photo: Robkam (licensed under CCA). 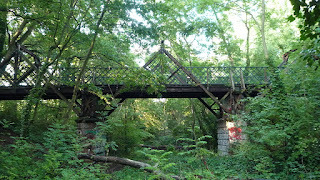 The footbridge today. Photo: Roger W. Howarth (licensed under CCA). From the woodland, we can re-emerge onto Crescent Wood Road, close to the top of the Sydenham Ridge, and, from there, take the southbound Number 363 bus for the next stage in our journey.